The Nissan Apprentice Academy aims to support the creation of 100 jobs over 5 years to help future-proof the motor industry. 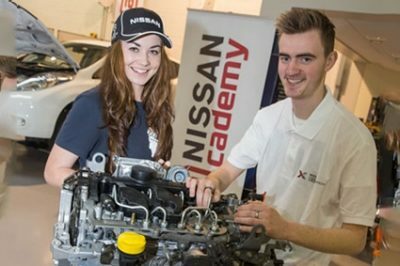 In 2015, Nissan Ireland Chief Executive James McCarthy announced the launch of the ‘Nissan Apprentice Academy’. The Academy has been established to develop the ‘technicians of tomorrow’ and our unique apprenticeship programme offers the next generation of technicians, the opportunity to work with Nissan’s newest and most advanced motoring technologies. The Nissan Apprentice Academy offers you the opportunity to pursue a career with a truly exciting brand that is leading the way in motoring innovation. 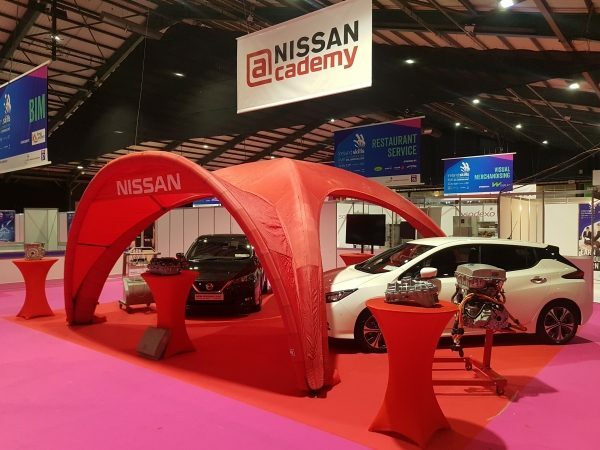 What makes this advanced apprenticeship programme innovative is Nissan Ireland’s additional specialised training along with the continuous guidance and encouragement of all academy apprentices who are employed by our Dealer network. 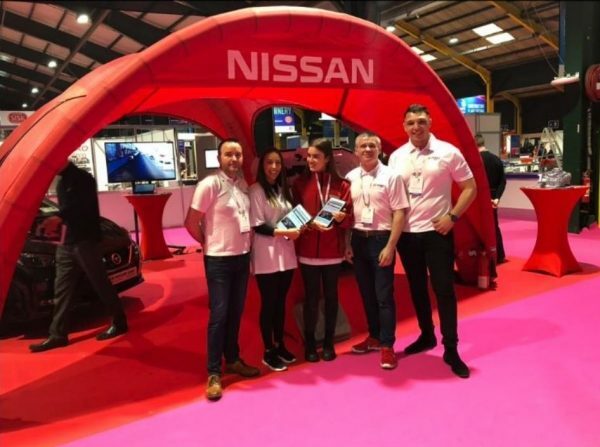 On successful completion of the standard SOLAS apprenticeship programme, the top scoring graduates will be given the opportunity to further their career within the Nissan Ireland Dealer Network. In addition, we will offer the highest performing graduate a scholarship into D.I.T Automotive third-level degree courses and advancement within the Nissan Academy, where they will receive Nissan Master Technician training (including entry into NISTEC Nissan’s world-wide skills competition). Each year, the overall highest performing and top scoring graduate will have the opportunity to become a 'Nissan Generation Next Ambassador' and will be provided with the use of a brand new, taxed and insured Nissan to drive for a year. Some T&C’s apply. The Nissan Apprentice Academy will give you access to learning environments and resources that will support your development and help you influence and achieve your individual goals. If you feel these are qualities that you have to offer our Dealer Network then please follow the application process below. As a Nissan Apprentice Academy candidate you will receive on-the-job development opportunities within the Nissan Dealer Network. As well as formal training, both in Nissan Ireland's Training Centre and at a SOLAS approved Educational Centre, as part of your apprenticeship journey. Anything is possible with the right attitude, focus and commitment. As a Nissan apprentice, you benefit from gaining credible and relevant qualifications, as well as meaningful on-the-job training. With effort and commitment, this could be your start to a valued and rewarding career with a Nissan Dealer. At the Nissan Academy, we are committed to fairness and diversity and want to support our Dealer Network by helping them train and develop the very best ‘technicians of tomorrow’. We are pleased to welcome all applicants to the Nissan Apprentice Academy. 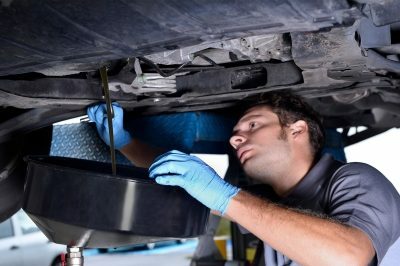 The Nissan Apprentice Academy will run in conjunction with the standard SOLAS Motor Apprenticeship programme. In addition to the standard apprenticeship path you will take with SOLAS, Nissan Academy will provide all apprentices with access to their own specific Learning Management System. 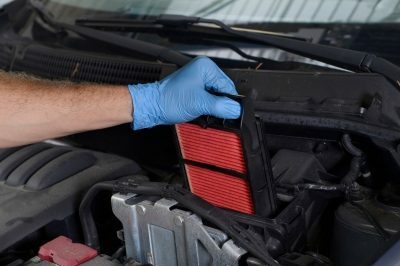 Here you will complete assigned e-learning modules as well as attend tailored face-to-face training programmes delivered at the Nissan Academy, National Training Centre. 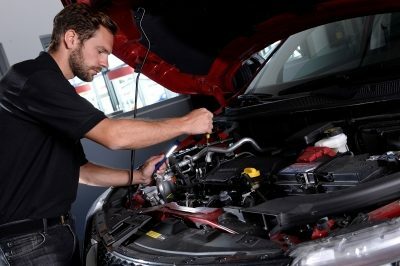 Our training will allow you to gain the required skills to successfully progress from a Nissan Service Technician to a fully qualified Nissan Master Technician, while also creating other opportunities to further your career within the Nissan Dealer Network. The application phase for the 2019 programme is now open. To apply click on the link below. 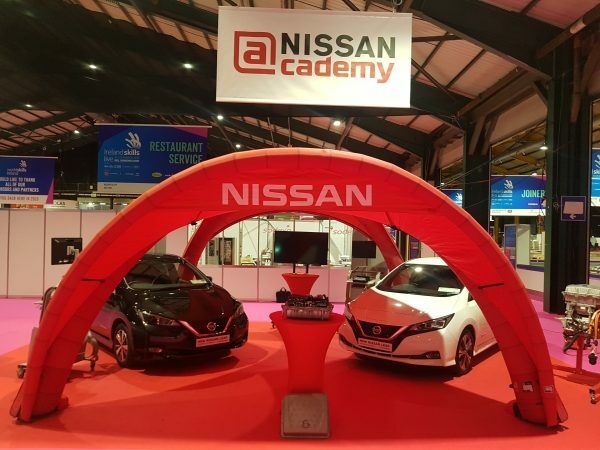 To further promote Nissan's comittment to the Apprentice Academy, Nissan Ireland took a stand at Ireland Skills Live Event in the RDS. 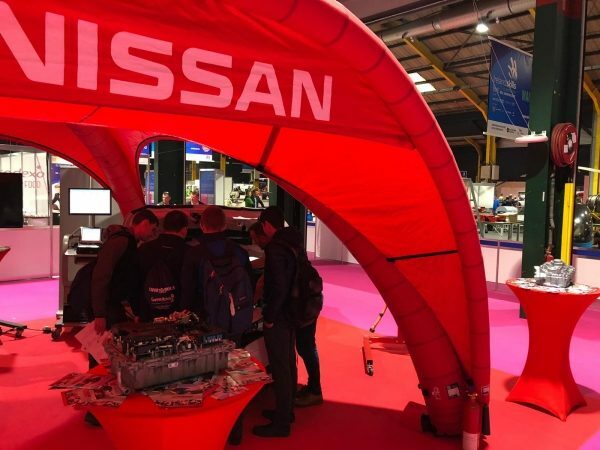 In what was an exciting opportunity for any budding motor vehicle technician, during the inaugural Ireland Skills Live event held in the RDS from March 21st to 23rd, Nissan Ireland introduced students to the technology currently incorporated in the latest branch of Automotive Technology, the New 100% Electric Nissan LEAF. 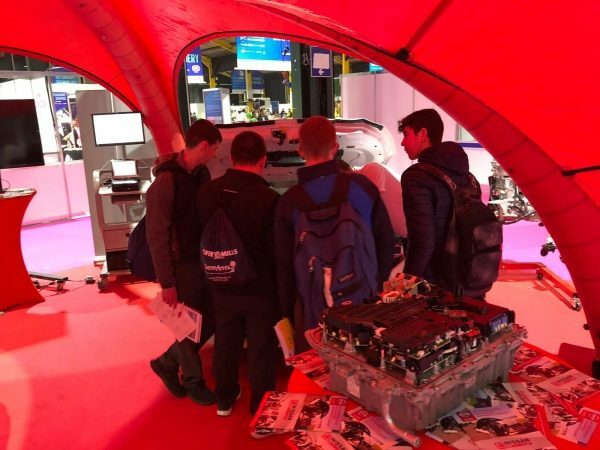 Nissan Ireland introduced students to the technology currently incorporated in the latest branch of Automotive Technology, the New 100% Electric Nissan LEAF. In a unique and exciting way to promote a career in the Automotive trade, students who attended the event had the opportunity to try their hands at a wide variety of skills, witness a demonstration on diagnosing and confirming system operation through the use of the state-of-the-art Nissan diagnostic computer. Participants interacted with Nissan trainers and received exciting hands on experience by operating vehicle systems, for example the lighting system and the vehicle wipers, using the latest cutting-edge equipment to interface seamlessly with the vehicle. Nissan introduced exploratory processes to all students with a view to open minds, break barriers and hopefully leave a lasting impression. Students also received valuable career advice and information on the vocational education and training pathways available to them in the Automotive trade through the Nissan Apprentice Academy, as for many young people, both male and female, apprenticeships can provide a chance to gain valuable knowledge, skills and experience while getting paid.